Top 25 teams go combined 20-0 this week outscoring the opposition 938-141. Top 25 teams combine to go 20-0 winning by an average margin of 39.8 points. There was no drama this week. The Top 25 teams rolled to a 20-0 record and there was no movement in the rankings. 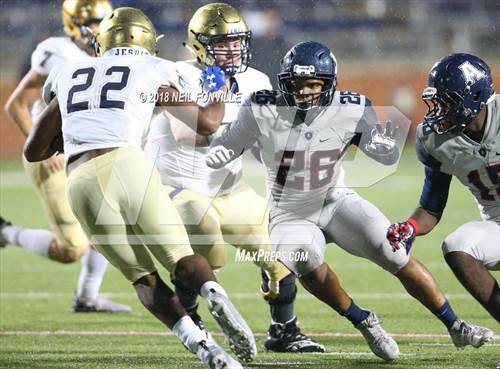 The CIF Southern Section Division-I playoffs got started this past week and the four teams ranked in the Top 25 all advanced to the second round. No. 1 St. John Bosco (Bellflower, Calif.) recorded its fourth shutout of the year with a 49-0 win over Serra (Gardena, Calif.). DJ Uiagalelei finished the night with five touchdowns and 2019 Boise State commit George Holani had 165 scrimmage yards and two scores. Up next for the Braves is a 7-4 San Clemente (Calif.) squad. No. 4 Mater Dei (Santa Ana, Calif.) cruised to a 44-6 win over Valencia (Calif.) and Shakobe Harper continued his impressive senior season scoring four touchdowns in the 38 point victory. A very good Mission Viejo (Calif.) team awaits the Monarchs Friday with a spot in the semifinals on the line. No. 8 Centennial (Corona, Calif.) improved to 11-0 after ending Orange Lutheran's (Orange, Calif.) season with a 35-7 win. The Huskies have held their opponents to seven points or less in six of their last seven games. 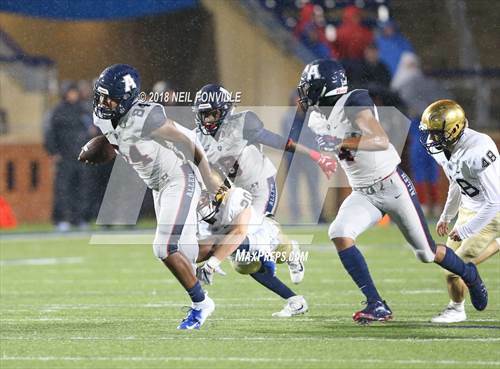 Gary Bryant Jr. had a huge night scoring two receiving touchdowns and added a big-time 51-yard punt return touchdown. Up next for the Inland Empire power is Rancho Cucamonga (Calif.). No. 19 Oaks Christian (Westlake Village, Calif.) outlasted Chaminade (West Hills, Calif.) and improved to 11-0 with a 22-7 win. They face a very tough JSerra Catholic (San Juan Capistrano, Calif.) squad on Friday. The playoffs get started this week in Florida and Georgia. No. 5 Carol City (Miami) and No. 11 Central (Miami) could potentially meet in the second round of the Florida 6A state playoffs. The Chiefs open up with Norland (Miami) and the Rockets take on Dillard (Fort Lauderdale) and, if they both win, will face off on Nov. 16. Carol City won the first meeting this season 36-28 to clinch the District 6-16A title and earn the top seed in the playoffs. No. 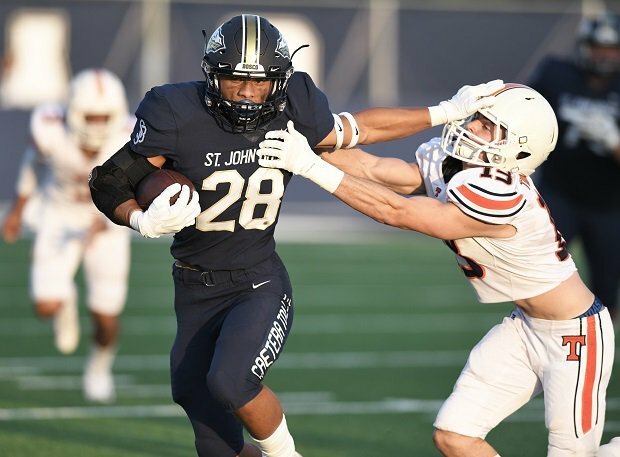 13 St. Thomas Aquinas (Fort Lauderdale, Fla.) is trying to win its eighth state title since 2009 and they open up against South Miami (Miami) in the first round of the 7A Florida state playoffs. No. 9 Colquitt County (Norman Park, Ga.) finished the regular season 10-0 and up first for the Packers in the 7A Georgia state playoffs is a matchup against Etowah (Woodstock, Ga.). Rush Propst is going for his third state title since taking over as head coach in 2008. No. 16 Rome (Rome, Ga.) currently has the tenth best active winning streak in high school football with 37 straight wins. The Wolves quest for a third consecutive state title begins in the first round of the 5A Georgia playoffs against Jackson (Atlanta) on Nov. 9. No. 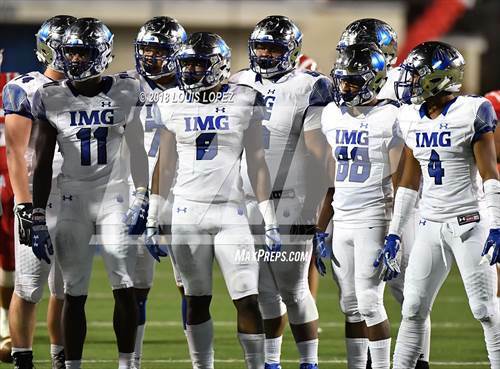 6 IMG Academy (Bradenton, Fla.) finished its season with a statement win over the back-to-back 7A Alabama state champs, Hoover. Trey Sanders and Noah Cain combined for over 300 scrimmage yards and three touchdowns in the 48-7 win. The Ascenders finish the year 8-1 and they have won 43 of their last 44 games with the lone loss coming against No. 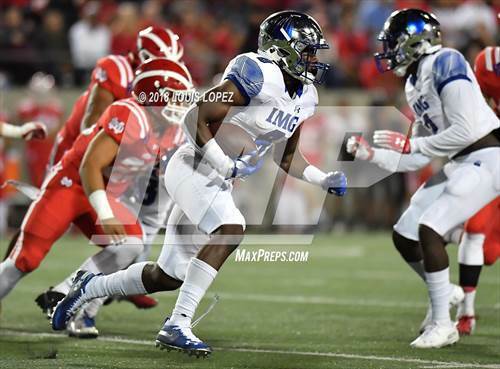 4 Mater Dei (Santa Ana) earlier this season.